Are you a fan of kali? 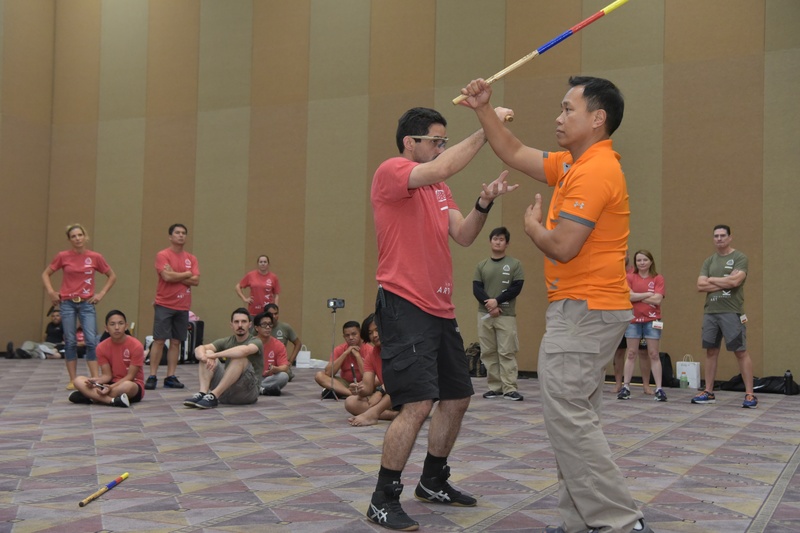 This Filipino martial art has gained popularity across the world. It’s one of the best weapon-oriented arts to learn, whether you want to know how to use them effectively in combat or defend against them. You might be skilled at the martial art itself, but how does your brain do when it comes to training? Here’s a five-question kali quiz to sharpen your mental edge. Answers are at the bottom of the post, so no peeking! 2. The movements of kali were designed to be used ___________ and adapted to be used __________. 3. During a time when the Philippines were occupied by Spanish forces, the practice and teaching of native martial arts was banned. However, Filipinos found a way around this by disguising kali training as what? A) Throwing snake venom at your opponent. B) Throwing an actual snake at your opponent. C) Attaching your opponent’s weapon hand. D) Punching your opponent’s teeth out. 5. Sinawali is a basic concept of kali. What does it mean? Kali is also known as escrima and arnis. 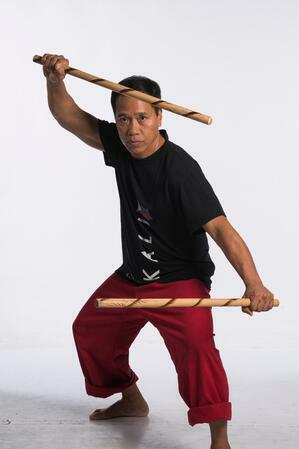 “Escrima” can also refer to the stick-like weapon used singly or in pairs by kali practitioners. A balisong is a butterfly knife used in Filipino martial arts and largely illegal in the United States (tragic, I know). The movements of kali were designed to be used with weapons and adapted to be used empty-handed. Unlike most martial arts, which began as unarmed fighting styles and later added weapons, kali started as a weapon-based art and was later modified. It’s a trend throughout history that whenever one country or population is subjugated by another, the group doing the subjugating typically isn’t keen on the idea of armed rebellion. However, the arts usually find a way to survive. In Okinawa, karate practitioners found ways to use farming tools as weapons that wouldn’t attract the attention of samurai. Kalaripayattu practitioners taught in secret to avoid punishment from colonial British rule. 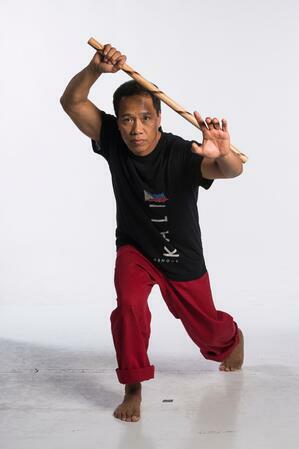 Filipino martial artists disguised kali as dance, allowing them to pass on the complex footwork and rhythms, and even use the tapping of sticks to simulate the clashing of bladed weapons. Let me start by saying: you should all have gotten this one right. If you find an art that claims to teach you how to throw snakes at people, RUN. Run very far. Fortunately, defanging the snake doesn’t have anything to do with actual serpents. It refers to targeting your enemy’s main line of attack against you, usually, their weapon hand. If you can disarm your opponent, you’ve made them much less dangerous. 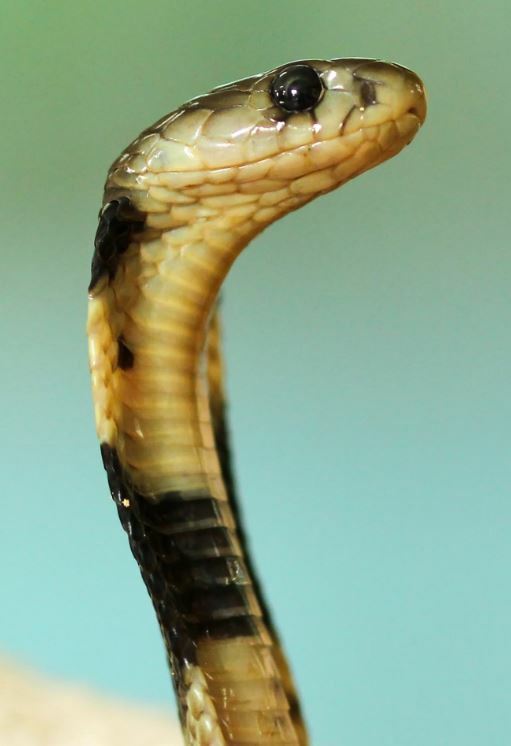 If the fight is unarmed, defanging the snake could also mean targeting a key joint or ligament to reduce the effectiveness of their attacks. Being able to attack with or without a weapon is important to kali, and striking when the enemy isn’t looking is legally questionable but probably not a terrible idea overall. However, the literal translation of sinawali is “to weave.” It is a pattern of strikes that flows together, and can be practiced through continuous repetitive motion. 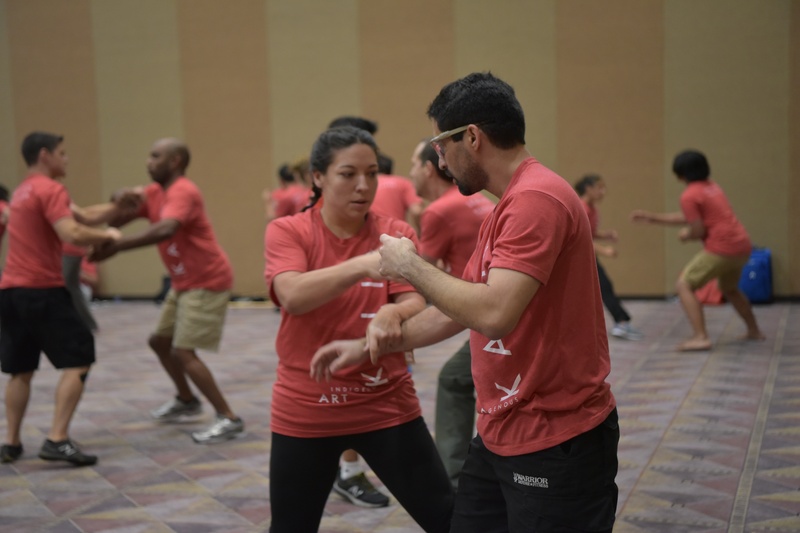 This builds muscle memory and prepares the student to move fluidly even when attacked. So, how did you do? If you’re interested in learning more kali – the actual techniques, not only cool facts (but probably some cool facts too) – you should join other kali and martial arts fans, instructors and school owners at the 2018 Martial Arts SuperShow! Kali Master Apolo Ladra will be there to teach some fundamentals of the art, as well as give insights on how to bring a kali program to your school. While you're there, don't miss out on attending the rest of the 2018 Martial Arts SuperShow!